Why is taking personal safety seriously so important? In New York City, there were almost 180,000 violent or property crimes documented in 2016 alone… and just imagine how many more weren’t reported! If you watch the news even some of the time, you can see for yourself the number of murders, assaults, and other crimes. Most of the victims were just going about their daily lives before the unthinkable happened. It might seem easy to deal with fear by just trying to ignore it. And yes, it’s important not to give power to your fear. But in order for you to protect yourself, you have to acknowledge that the danger’s there: once you’re in a crisis it may already be too late. How much time will it take for me to master the techniques you teach? Practices for staying safe are like any other habit—some people master them quickly, and some people take longer… But anyone can start seeing benefits right away! In the end, the more consistently you practice my principles, the quicker you’ll be able to access that confident and clear-headed place inside your mind. How quickly you pick up my techniques also depends on your learning style. 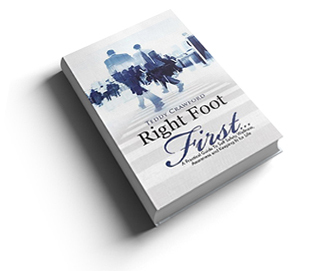 If you prefer to learn through self-study, my book Right Foot First will probably be your quickest choice. If you’re a hands-on learner, you might benefit from booking a training session. Do I have to learn martial arts or another form of physical defense? Absolutely not. My goal is to teach you life-saving ways to react in dangerous situations, using street smarts and healthy mental habits. Fighting back physically is not always the safest way to deal with an assault—and even if it were, it could take years of training to be truly effective. By comparison, adopting the right habits can get you prepared almost immediately! Which self-defense techniques are best for women? The best self-defense lies in being aware of your surroundings, and whenever possible preventing danger before it even happens. Both preventing issues and dealing with them as they happen rely on the same technique: being fully present in the moment. This will also help you deal with more minor conflicts and live a happier, healthier life overall. Using physical response successfully depends on many factors, but having the right mindset will serve you well regardless of the situation. If you’re interested in exploring this topic more deeply, let’s talk. How can I start feeling more safe and confident right now? Acknowledge that crime can happen to anyone, especially in the city. It may be a scary thought, but try not to give into your fear: acceptance is the first step to empowerment. Always stay aware of your surroundings, especially when walking in dark or secluded areas. Look up your route before you leave, and avoid using your phone while you walk. Surround yourself with an aura of confidence and awareness. Hold yourself with your chin high, your eyes on your surroundings, and your shoulders squared—even if you’re nervous. Interested in learning more? Contact Teddy to discuss the mindset or book a training session. What does “Snap Prioritizing” mean? Snap Prioritizing is a simple set of principles that you can apply in any crisis situation, so that you don’t have to reinvent a solution for every situation. You refocus your energy from being scared into a determination to get out of the trouble you’re in. In simple terms, Snap Prioritizing means the ability to quickly assess (size-up) and analyze potential dangerous situations then determine and take a course of action appropriate to the magnitude/seriousness of the threat. Some ways to do this include breathing deeply and steadily, and even using your fear as fuel to act while avoiding panic. To find out more, read Right Foot First. Why is self-awareness important in the process? If you want to change your habits, you need to know what they currently are. In the same way, if you want to convey confidence and deter attacks, you need to be aware of the energy you’re currently putting off. Thugs and even dangerous animals are aware of the energy you’re putting off… even if you’re not! Will Teddy travel to do trainings or speaking engagements? 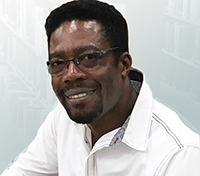 Yes, Teddy is available for in-house consultations and training sessions, whether it be your home, school, church or company—just contact him to discuss your needs. What if I have more questions for Teddy? Teddy is always happy to answer any questions you may have about his book Right Foot First and his techniques, to help you fully embrace your empowerment. Contact him with your questions!